The Philadelphia Phillies will travel cross-country to take on the San Francisco Giants. Join us at AT&T Park at 7:15pm on Friday, June 24, to see how these two teams stack up against each other. We've secured a block of seats in the Bleachers Section 137. Tickets are $34 each (including processing fees) for members of the Penn State Bay Area Alumni Chapter. Nonmember pricing is $36. Tickets are available on first come, first served basis. To purchase tickets, choose your ticket option (either member or non-member) by locating the appropriate square button about halfway down the page (look for the Penn State-logo'd baseballs), and then click "Add to cart." Then follow the prompts to enter your payment info and check out. 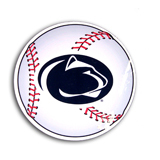 DON'T MISS THE AFTER PARTY: Join the Penn State Abington Alumni Relations Team for a special post-game party at Pete's Tavern, 128 King St., just across from the ballpark. Limited drink tickets will be available, courtesy of PSU Abington. All are invited to join starting around 10pm, after the last pitch! Tickets are in Bleachers 137.